The sea is pure mysticism. The fact that we have in our blood the exact percentage of salt that exists in the ocean, makes us merge into its immensity…Which reveals our essence, there are no poses or staged frames… its just us, immersed in the magnificent blue, the surreal feeling of flying, the weightlessness of the ballerina, the oneiric state of a lucid dream… this vast immensity is a cosmic flow for inspiration. 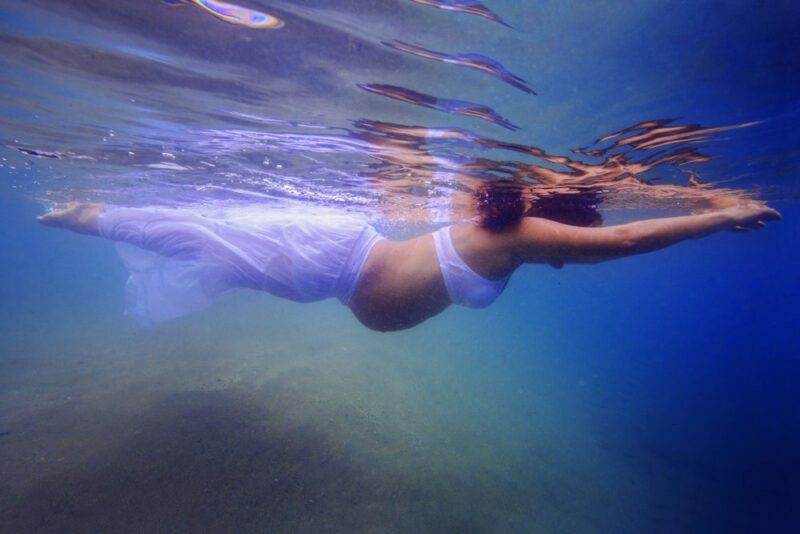 Underwater Maternity is the quintessential capture for magical femininity, all family submerged in this ethereal atmosphere with that sense of protection and belonging, a metaphor of the archetype of the womb. 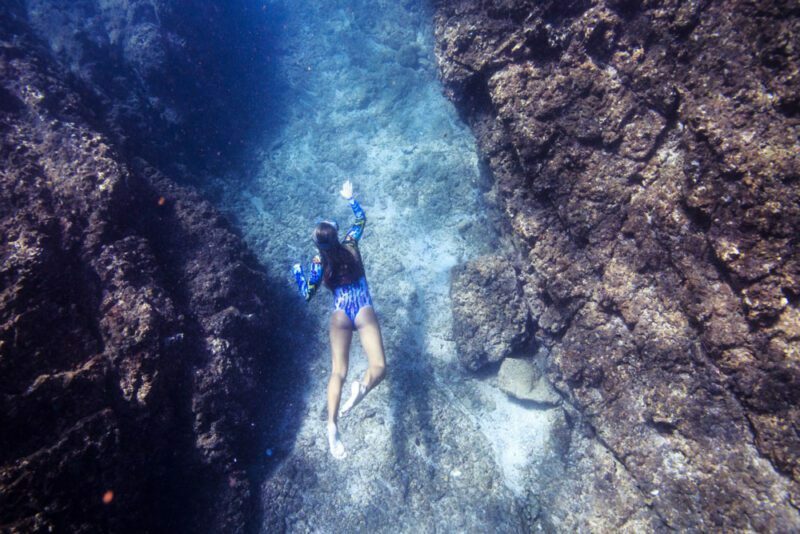 Exploring below the surface is a meditation: controlling our breath is also controlling our minds. 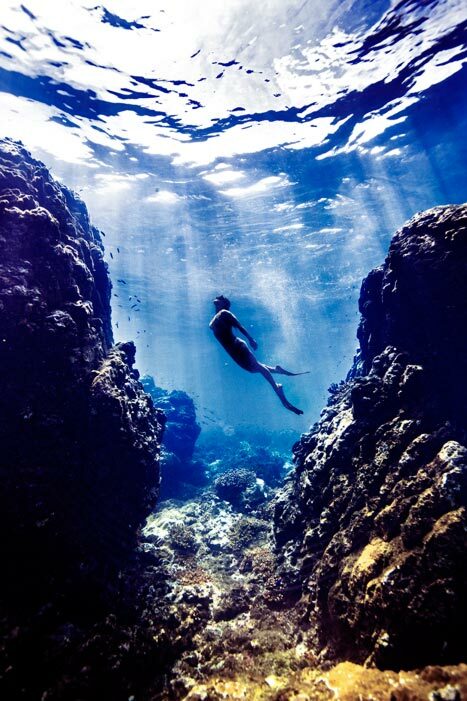 Some say diving is a quest to shatter human limits, but is also recognizing your true self, no reflections or facades.